In general, most creative types I know (myself included) are not very physically active. We like to read books, watch movies, and sink into indoor hobbies. However, I cannot stress enough how often I’ve felt mentally fatigued, gone out for a run, and felt 100% ready for more writing. There’s been a lot of research into the mental benefits of exercise. The American Psychological Association says here that exercise boosts mood and fights depression. The little mental boost you get from a game of tennis or bike ride might be just what you need to get through your creative slump. So, if you’re having trouble writing a scene or have been struggling with a project for a while, I suggest getting out and doing a favorite activity. It doesn’t have to be running. A nice nature hike or walk in the park could work, or anything else, really. Just as long as you get your body working. 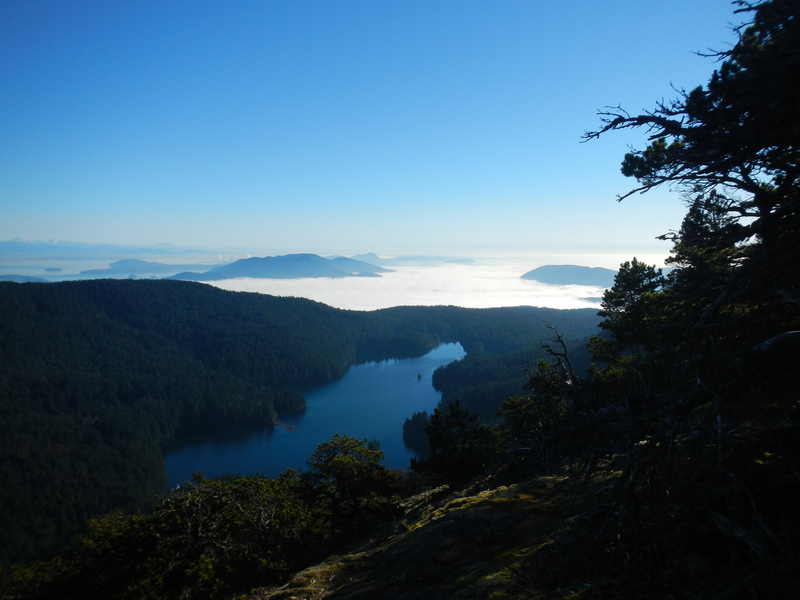 An inspiring view from an inspiring hike. Inspiration can come from many different places, including other forms of art. When I’m stuck on a story, sometimes I find sketching a character or a location can help me find that source of energy I’m lacking. If you haven’t explored art outside of your own writing, give it a try. You don’t have to be good as long as you stay relaxed. If drawing or painting doesn’t work for you, try more three-dimensional forms, like clay. If you can’t get into your own art enough to feel relaxed, try going to a gallery or looking at other people’s work online. Deviantart can be a great resource for finding fantasy or science fiction artists. Also, many reputable museums have online galleries which are FREE to access, like the Metropolitan Museum of Art. We shouldn’t forget poetry either. Sometimes the images or word sounds a poem produces are perfect creative fuel for getting back into your novel. So, if you’re not sure what art form will be the most inspiring for you, experiment and see what happens. 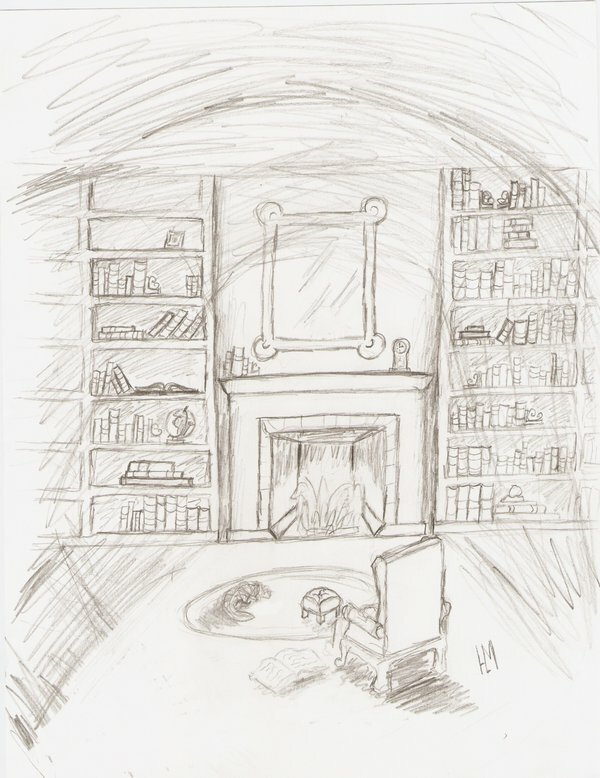 A quick sketch I did a few years ago of a character’s room . Drawing scenes like this help me better understand my characters and get my creative juices flowing. I’ve already explained on this blog how I find music inspiring. Sometimes I can write to it, sometimes I can’t. However, I always find a story popping into my brain when a song plays. I find classical music gets me going the best, but everyone is different. If you don’t own a lot of music or want to explore other artists/musicians, try finding playlists on YouTube or Pandora of your preferred genre. If you’re looking to set a specific mood, 8tracks.com has a pretty nifty set up where you can input a variety of search terms and find user-made playlists. Live music can even be better, so look for concerts in your area or clubs/restaurants/coffee shops that host live musicians. I hope these three recommendations for battling mental fatigue and finding inspiration are helpful. Do you guys have any tried and true mental boosters to help you write?